Built for serious little outdoor enthusiasts many kids sleeping bags offer the same protection and features as adult bags. 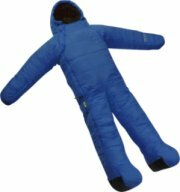 Select a kids sleeping bag that is big enough so that they don't outgrow it in a season or two. Your child will sleep easy in GearBuyer's selection of kid's sleeping bags. The North Face Aleutian 3S Bx 20 Degree Sleeping Bag - FEATURES of The North Face Youth Aleutian 3S Bx 20 Degree Sleeping Bag. SPECIFICATIONS of The North Face Youth Aleutian 3S Bx 20 Degree Sleeping Bag. Super-soft taffeta liningNylon stuffsack includedFull-length draft tube and overlapping shingle construction eliminate cold spotsSoft ripstop polyester shellRipstop nylon construction stops tears from turning into big problemsHeatseeker insulation traps in warmth and keeps insulating even if it gets slightly wetHeat-seeker synthetic insulationZippered pocket keeps valuables safe and handyEasy grab zipper pulls make entry and exit easier, especially in the darkInternal watch pocket. Marmot Trestles 30 - Regular - The Marmot Trestles 30 is an affordable, high quality sleeping bag for cool nights at your favorite outdoor playground. The full-featured Trestles 30 is a reliable, all-purpose synthetic bag that insulates even in sustained cool and damp conditions. Improved liner fabric and style lines for increased comfort while backpacking, trekking and mountaineering. Marmot sleeping bag Wave Construction is the warmest shingle construction available, fitting extra insulation into these bags by creating an overlapping wave of shingles throughout the bag. Deuter Starlight EXP Sleeping Bag - Deuter Starlight EXP Kids Sleeping Bag is a children's sleeping bag designed to grow with your kids. The bottom of the bag zips out to add an extra foot of leg room. When the bottom compartment is zipped in, your kids will stay extra warm with the additional insulation around their feet. Fits children 4 ft 3 in to 5 ft 7 in. Functional contoured hood can be cinched for extra warmth with a draw cord. Marmot Mavericks 40 Semi Rec - Your kid is too old for that cartoon character-decorated cotton bag but is not quite ready to rock a six-foot mummy bag either. The Marmot Kids' 40 Degree Synthetic Mavericks 40 Semi Rec Sleeping Bag fills the gap between a sleepover sack and the grown-up bag. It's perfect for good-weather camping or sleepovers with the friends. The snagless draft tube stops heat from leaking out, and he or she can open and close the zipper without getting it caught on the baffle. Big Agnes Wolverine 15 Degree Sleeping Bag - The Big Agnes Wolverine Junior 15 Degree Sleeping Bag. Built for juniors and kids while incorporating the technical features of our adult bags. No-draft collar, No-draft wedge, No-draft zipperMesh storage sack and nylon stuff sackNylon fabricIntegrated pad sleeveYKK #8 zipperPillow pocketLiner loops. Teton Sports Celsius Sleeping Bag - Packed with high-lofting four-channel hollow fibers, this bag delivers excellent warmth to younger campers. The soft and cozy 100% polyester liner features a fun pattern. For colder nights, use the built-in drawcord, and the head area gently pulls in close for even more warmth and comfort. Durability is crafted into the 70-denier, 100% polyester shell. Two-way, nylon zipper with baffle. Includes stuff sack. Imported.. The North Face Aleutian Down 20 Degree Sleeping Bag - FEATURES of The North Face Youth Aleutian Down 20 Degree Sleeping Bag. SPECIFICATIONS of The North Face Youth Aleutian Down 20 Degree Sleeping Bag. Soft, ripstop polyester shell.600-fill down insulation is lightweight, highly compressible, and warm down to 20 degrees600+ fill goose downHeatseeker insulation. Right zip. Small internal pocket stashes a watch or other vital itemsNo draw cords for safety. Drawcord-free design improves safetyYouth printed liner. Rei Trekker 1.0 Self-Inflating Pad - The REI Trekker 1.0 kids' self-inflating sleeping pad offers lightweight comfort for backpacking, camping and traveling!Imported. Nonslip, brushed polyester upper surface is soft to the touch; 75-denier polyester bottom surface resists wearQuick-closing, high-volume airflow valve allows the pad to inflate and deflate quicklyIncluded stuff sack protects pad during transport and compression straps ensure a compact parcel every timeR-Value equals 2.5Compliments the REI Nodder +25°F sleeping bag, sold separatelyHorizontally cored foam is engineered to be lightweight and compressible without compromising warmth. Big Agnes Porcupine 15 - Rest and relaxation is what you will get when you slide into the Porcupine JR by Big Agnes®. Integrated half pad sleeve design keeps you securely attached to the pad from the hips up while allowing freedom of movement for your legs. Requires ANY 20" wide rectangular or mummy shaped pad to fit in the half pad sleeve design. Built in pillow pocket holds a fleece or Big Agnes pillow. Cocoon TravelSheet Cotton - Adding an additional 5.3 degrees (Fahrenheit) of warmth and increasing the longevity of your sleeping bag, the Cocoon TravelSheet Cotton rectangular bag liner is a valuable addition to your gear closet. The affordable TravelSheet Cotton can also serve as a warm-weather travel sleeping bag.lightweight and durableAdds 5.3 degrees F of warmth86" x 35"14.6 oz. Mountain Hardwear Mountain Goat Adjustable - Mountain Hardwear Mountain Goat Adjustable 20F Synthetic Sleeping Bag for Kids - 2013 Model Features. Mountain Hardwear Mountain Goat Adjustable 20F Synthetic Sleeping Bag for Kids. The Mountain Hardwear Mountain Goat Adjustable 20F Synthetic Sleeping Bag for Kids is an ideal solution to give your kids a great sleep when going camping. With a draw-cord system that allows the inside length to be adjusted, as your child grows older, it continues to accommodate him or her comfortably. Eureka Minnow 45 - The Minnow 45F by Eureka is a rectangular kids' sleeping bag rated to 45 degrees Fahrenheit. Children tend to love this bag's kid-friendly coloring and fun internal storage pocket for a few small toys or personal items. The bag has a convenient anti-snag guard to prevent the zipper from getting stuck. Eureka! ThermaShield™ insulation provides reliable warmth, and the bag also has durable 75D polyester taffeta material for the shell and lining. Aerobed Mattress - The Aerobed Mattress for Kids will keep little ones in comfort. 4 inch bumper safely keeps kids from rolling out of bed. Hand-held AC Pump for quick inflation. Washable mattress cover included. Polyester and cotton machine washable cover includedThick fleece mattress pad for extra cushionDurable seams support up to 150 pounds. Hand-held AC pump for fast inflation/Whoosh Valve for quick deflation. Mountainsmith Boreas 40 (Synthetic) - FEATURES of the Mountainsmith Boreas JR 40 Degree Sleeping Bag. SPECIFICATIONS of the Mountainsmith Boreas JR 40 Degree Sleeping Bag. Offset quilt constructionExternal hang loops for drying or pad lashingMountainLoft™ Hollowfibers Synthetic InsulationAdjustable hoodRelaxed hooded rectangular styleFull length zipper unzips for blanket style if neededAnti-snag zipper reinforcementFull zip opening for blanket featureRight-hand zipper50d x 290T Taffeta Poly Liner W/R, CIREStuff sack includedMountain Loft HollowfibersRoomy rectangular shapeDifferential cut for optimal loft and anti-migration75d x 240T Diamond Poly Ripstop, W/R, CIRE. The North Face Dolomite 3S Sleeping Bag - For your pint-size pipsqueak, the kid-size Dolomite 3S synthetic summer sleeping bag from The North Face provides lightweight performance across a wide range of temperatures and uses. Imported. Shell is constructed of soft, ripstop nylon; polyester taffeta lining is soft next to skinHeatseeker™ insulation offers a great warmth-to-weight ratio, is highly compressible and is extremely durable, making it ideal for cold weatherBag can be completely unzipped and opened up for use as a comforterFeatures a zippered internal watch pocket to keep small necessities within easy reachThe North Face Dolomite 3S sleeping bag includes a roll-top stuff sack. Eureka Minnow 45 Degree Rectangular Sleeping Bag - A great choice for traveling light and taking on overnights at a friend's house. Single layer quilt construction with floating shell. Polyester taffeta liner and shell. ThermaShield premium insulation. ThermaShield's 7 hole construction expertly traps warmth inside for excellent performance in cold temperatures.#5, 2-way, self-repairing zipper. Inside stash pocket. Stuff sack included..